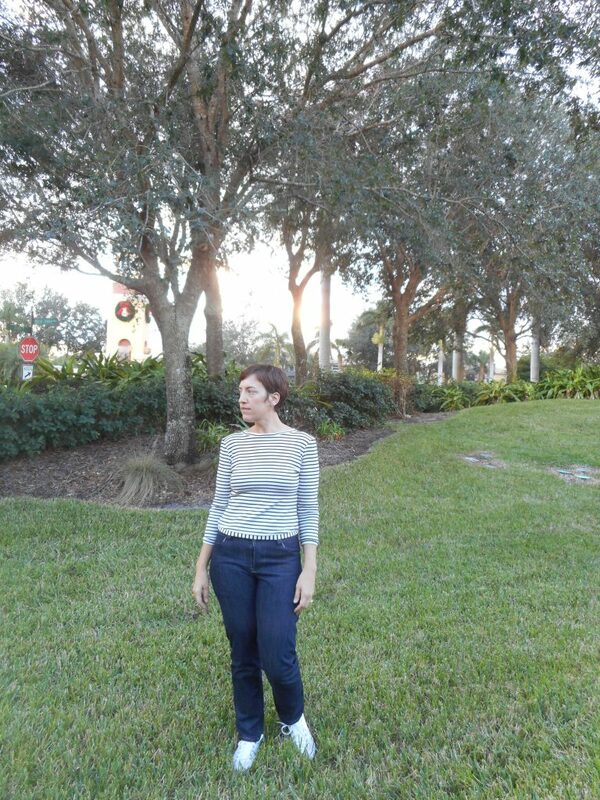 It’s finally time to start sewing for fall here in FL! The last few days have been breezy and cool after weeks of heat. 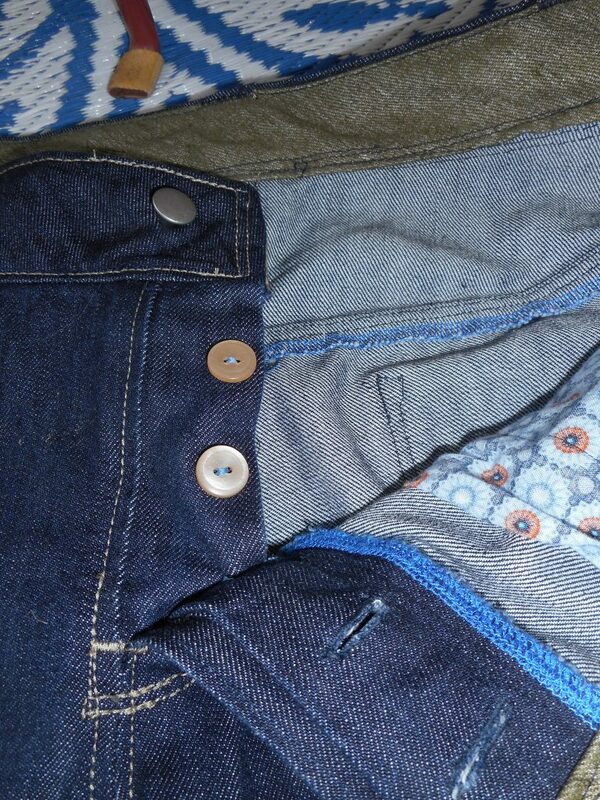 First up- a simple pair of selvedge denim buttonfly jeans using a modified version of Vogue V8774. I wanted something classic in a dark wash with a straight leg. 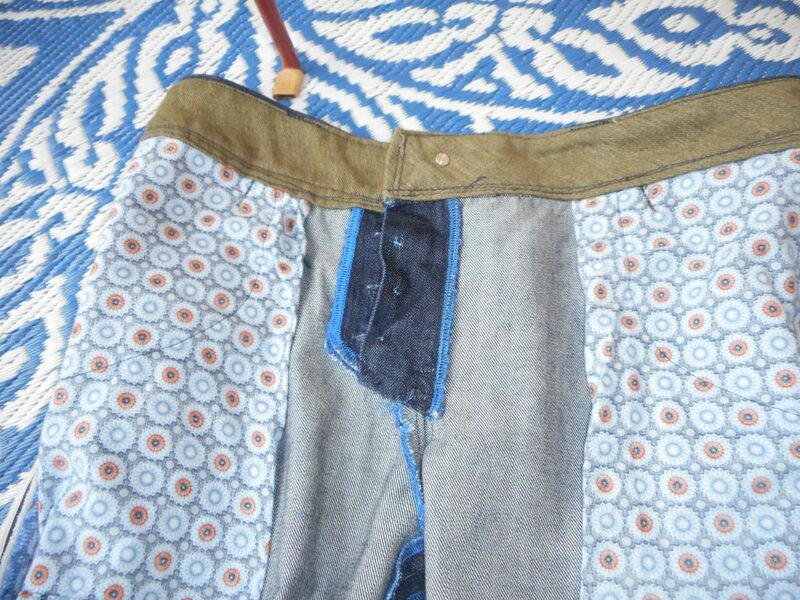 Unadorned since my other two pairs of blue jeans are both patched and embroidered. 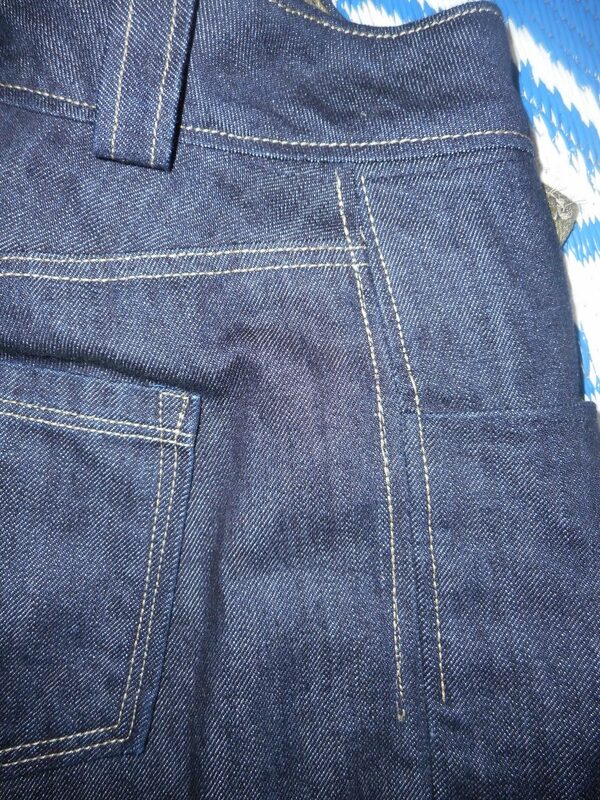 I went with a straighter slim cut with the selvedge left intact on the outer seams. I had already altered my pattern for this purpose a year or so ago but never made them up. This is the same Vogue pattern I used twice before though very modified by now. My yoke has been altered quite a bit, the legs were straightened, and the pockets and fly were switched to the design from Closet Case patterns Morgan jean which I’ve made in white before. I skipped the rivets this go around since they always seem to catch on things. I I really like the button fly but plan on switching the buttons to a lower profile later on. I made my pockets extra deep so I can fit my wallet if I need it. I kept the topstitching neutral and simple. I’m still wearing these in. 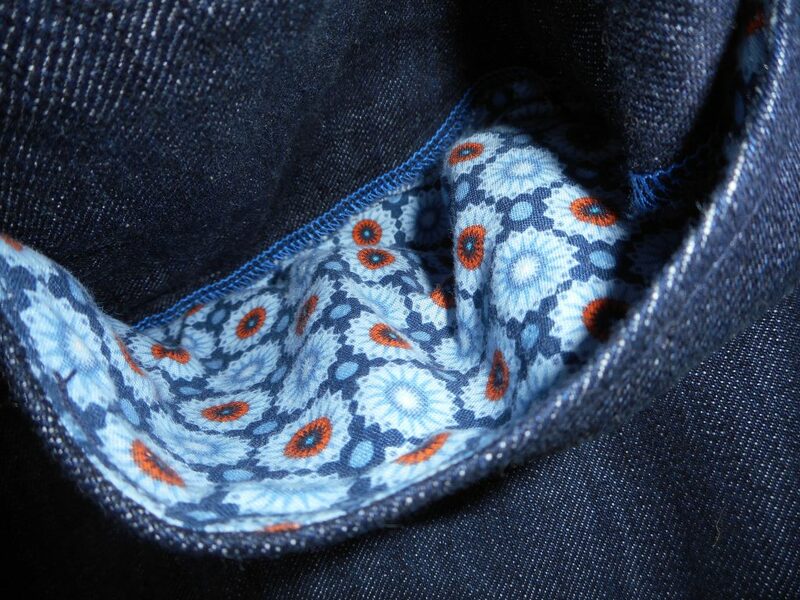 The denim is a bit stiff and will loosen up with wear. 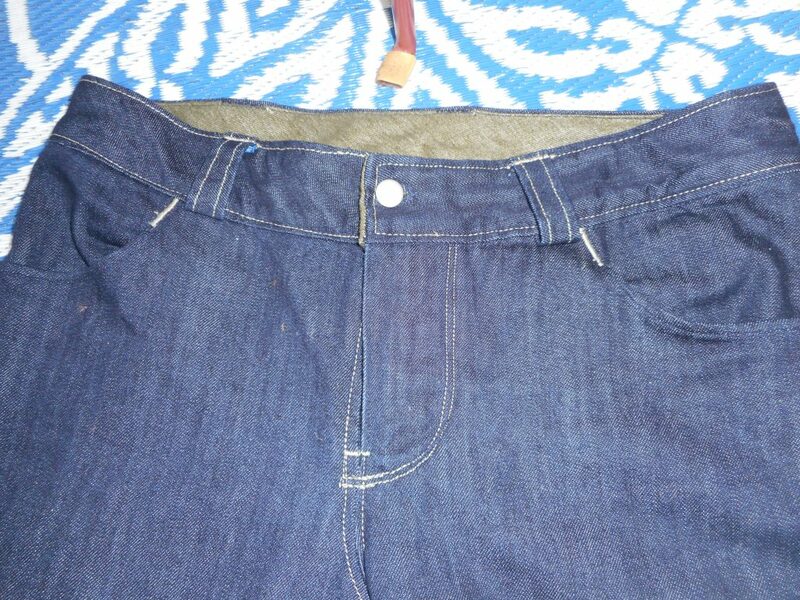 Again I kept extra length in the hem since my jeans almost always shrink lengthwise. 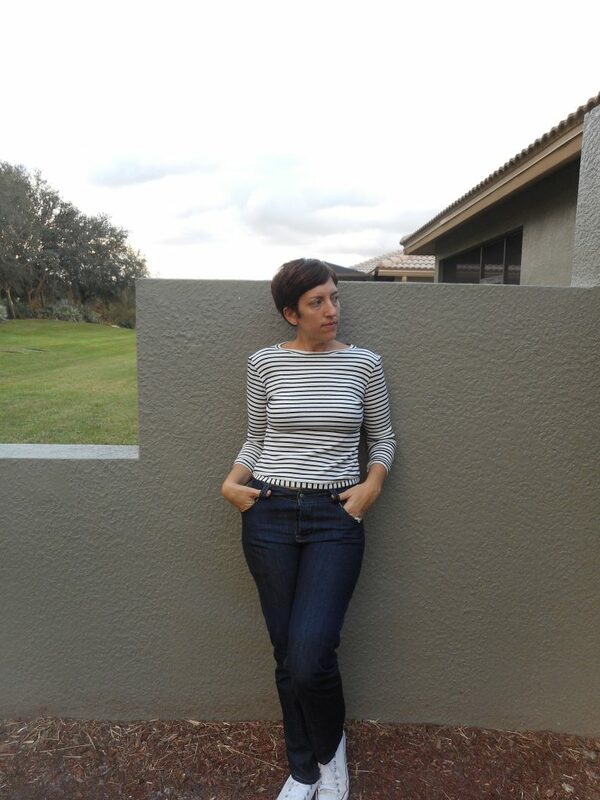 I’m wearing my jeans here with a recently altered top. 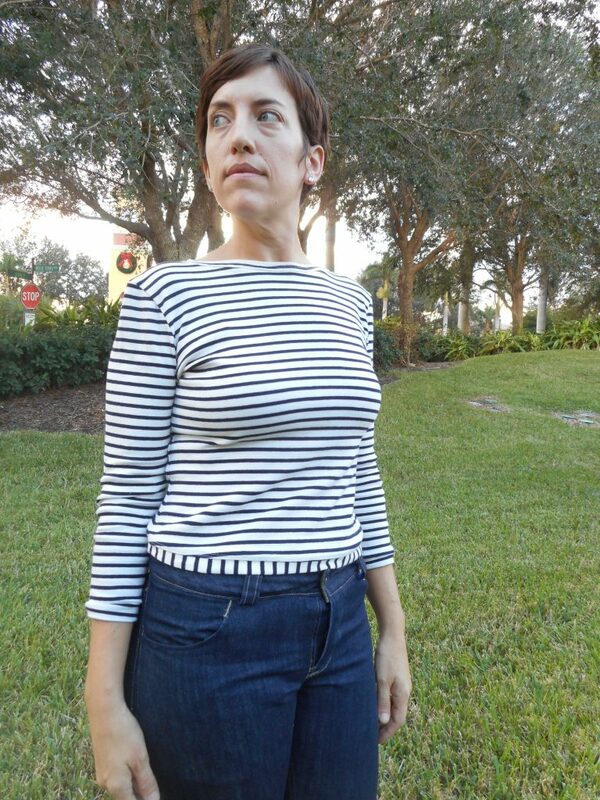 It’s a simple rib knit Breton stripe that was a bit too wide in the neck. Because it’s a rib knit it had a bit more stretch than I accounted for. I took it apart and rearranged the seams for a higher neck and square shoulder. I really like the shape of the sleeve head now. A small band was added at the bottom as it was just a bit too cropped after altering. I really want to make another version of this now that is a bodysuit. 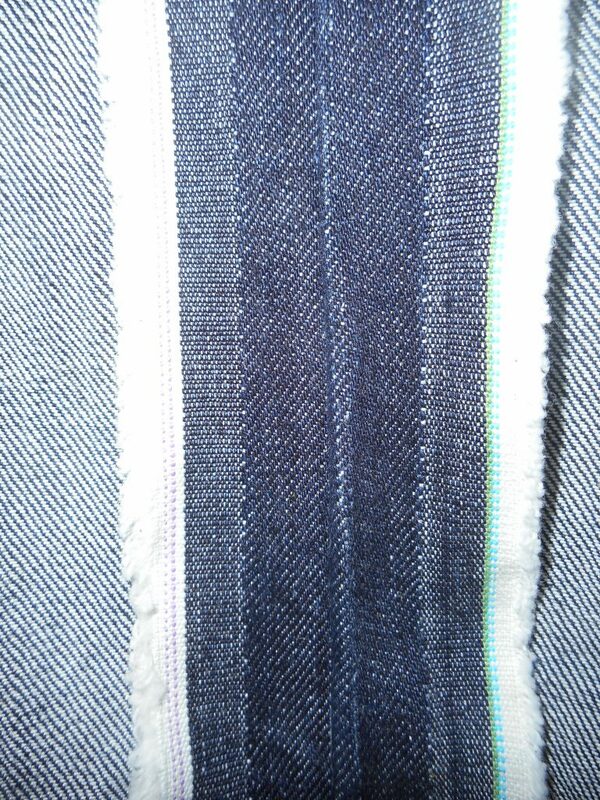 Classic Blue Denim Woven, Out of Stock, from Marcy Tilton 2.5 yds: woven denim with a nice wide selvedge and no stretch. 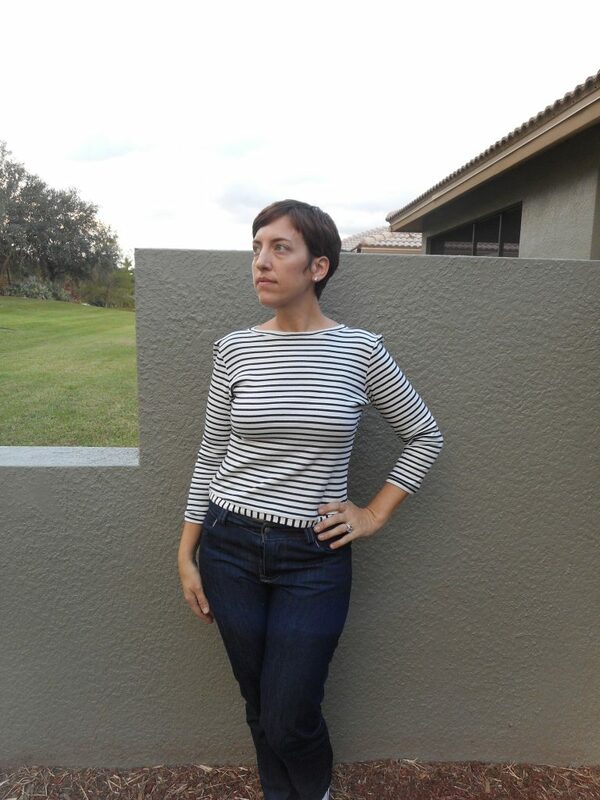 Vogue #8774 OOP, using my sloper and modified to utilize selvedge on the outseams. 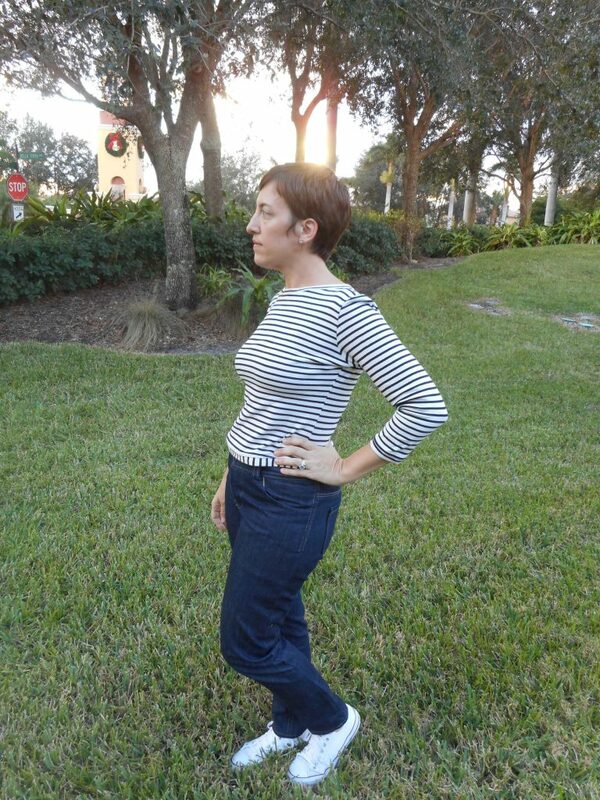 Inspiration from Vogue Pattern Magazine’s Denim Issue, “Create Your Ultimate Jean” by Gillian Conahan OCT/NOV 2013. I took these pictures after Thanksgiving at my mom and dad’s house this past weekend. I always get great shots when I take my pictures there- it’s lovely and semi private. Plus my kiddos are always occupied playing with there cousins which makes it easy for me to dress up and take pictures. Afterwards we relaxed, played some games and I took the kiddos to play at the playground (in the rain). The cutest part was when we got back the kids were soaked so they all put on these huge white robes while their clothes dried. We took it easy the rest of the week (except for my husband who spent the rest of the weekend helping his parents cut down bamboo at their new place). We avoided shopping like the plague. We took the kiddos to see Coco too- what a beautiful movie! I cried quite a bit. Hope you all had a wonderful holiday! Taking a break this weekend helped me plan out what I’ll be making for Christmas gifts this season. I have all the fabric and patterns ordered now so I can start making. Plus I’ll probably make some more soaps and bath salts with the kids. I never want to end up sewing/crafting at the last minute. We try to keep the holidays relatively relaxed and don’t go crazy with gifts. We’re going more for experiences this year, so maybe some museum memberships, outdoor activities and a fishing trip for my husband. Now that I finally have a bunch of makes photographed I’ll hopefully be posting more regularly this month. Happy Sewing! 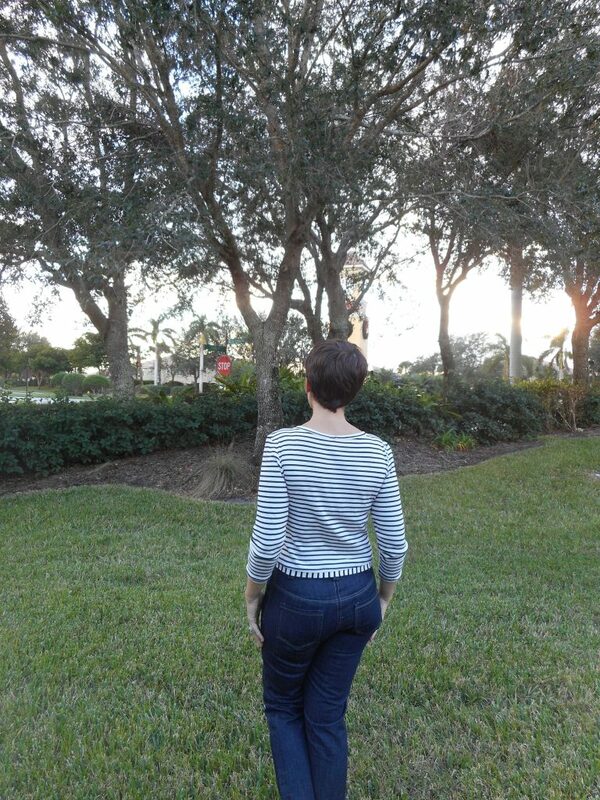 Really impressive jeans and I love that top!